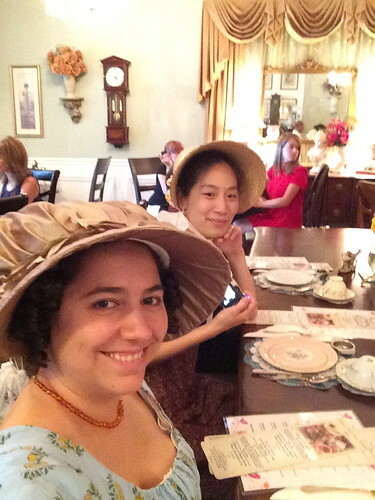 We had a smallish but delightful tea at the British Bell Tea Room in Newark, DE with the lovely Beth as host! 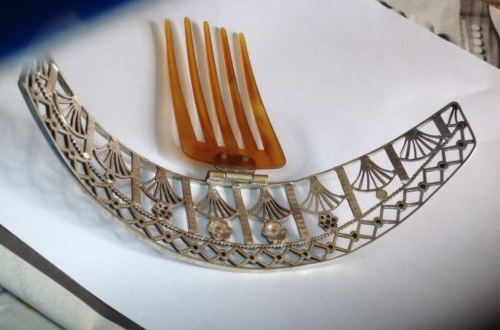 So I bought this tiara from the UK on ebay a while ago - it was likely a link Kat posted (she is my favorite tiara enabler!). 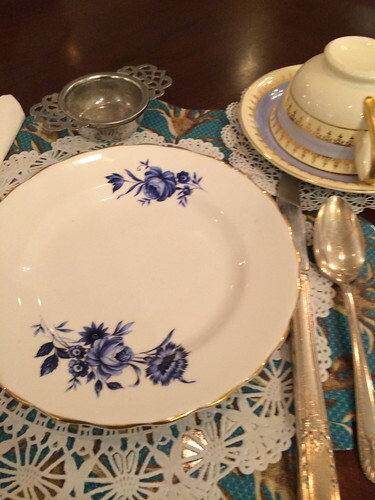 It was so pretty and it turned out to have an interesting provenance. 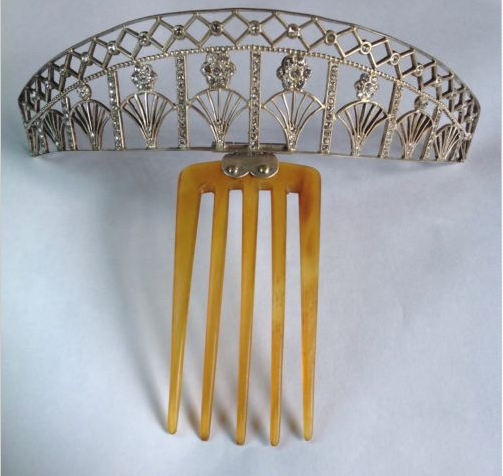 The Tiara belongs to a neighbour who is a dairy farmer it has been in her family for as long as she can remember and belonged to her grandmother that would date it to around 1900 to 1920 it is silver plate on copper so that would be around the correct date perhaps earlier that silver on copper was used and also tortoiseshell. 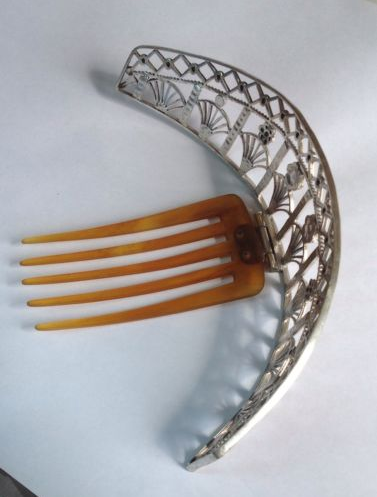 She cannot remember anyone in the family wearing the Tiara, she is in her late sixties. There was a time when the farming community held regular farmers balls. 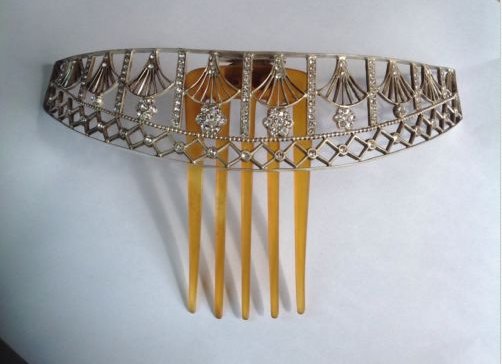 And ladies used to dress up really elegantly so the Tiara was most likely used for this. 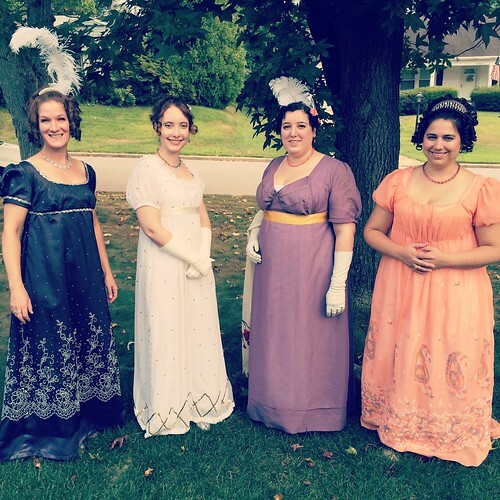 I wore it for a Jane Austen ball. 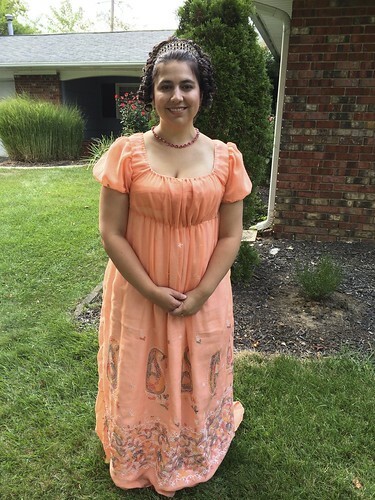 Jane Austen Ball - and new dress! 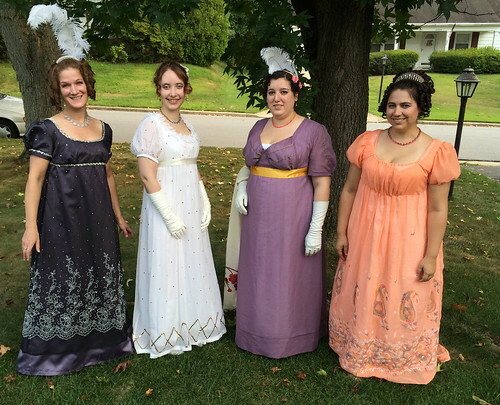 A few weeks ago I went to the Jane Austen Ball at Gadsby's Tavern in Alexandria with a bunch of lovely friends. 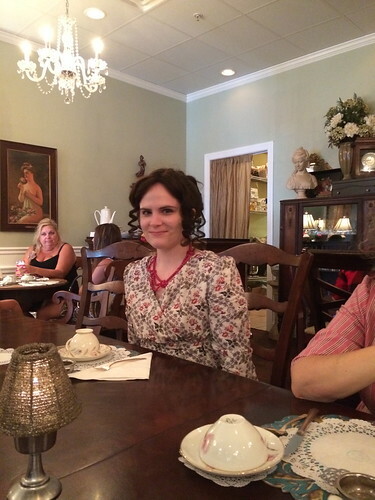 The ball was so fun as always. 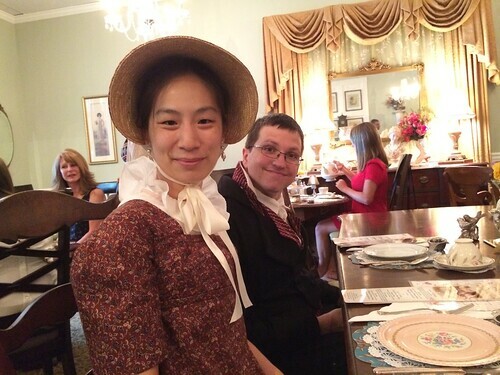 And I was really glad that some of our NJ/Philly crowd could come down for it! 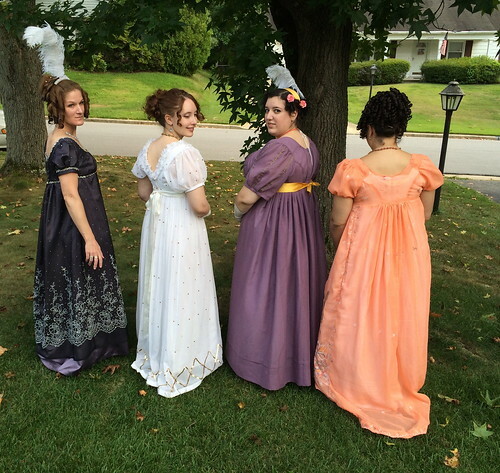 After the ball, the ladies that stayed at my house watched Austenland to cap off our Regency experience. 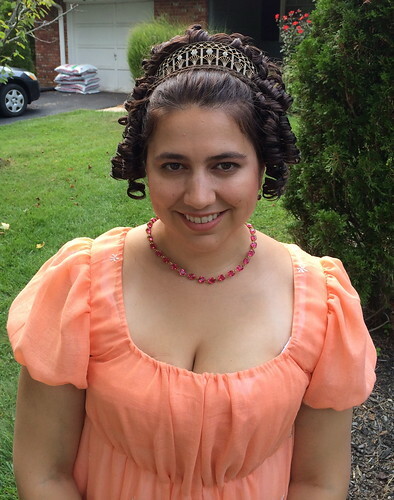 I debuted my new peach gown (sari bought from Julia Bennett), my new teens tiara, necklace by Dames a la Mode, and new hairpieces. 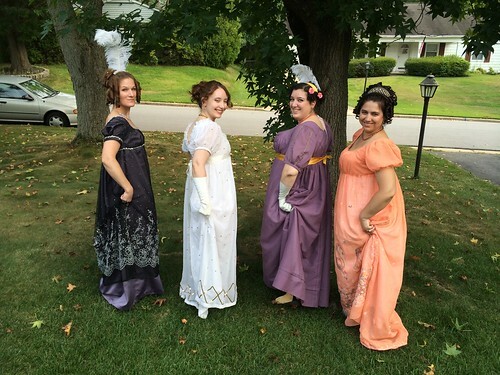 Regency Wedgie shot for Jen Thompson! 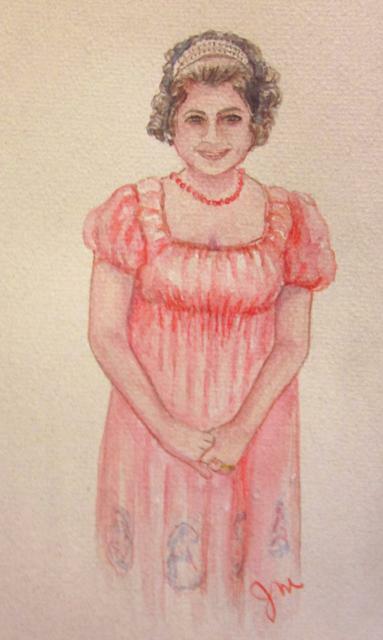 So I went to a Jane Austen ball and I have not yet had time to post pictures - but my Mom did a little painting of me, which is so cool! I love it!